Professionalism and integrity. Brett and Giovanna did an excellent job of selling our home. Two words: professionalism and integrity. And service. Three words. Oh, and marketing expertise. Five words. Seriously, Brett and Giovanna did an excellent job of selling our home. Explaining the current market conditions, their plan to market our home, making sure that we knew exactly what we needed to do to make our home as attractive as possible to potential buyers, assisting us in preparing our home. 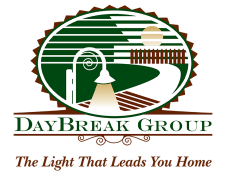 Our research into local realtors with expertise in homes like ours in our zip code pointed to the Daybreak Group and the Daybreak Group only. We were not disappointed with either the process or the results. Cannot recommend them highly enough.